I love Italy and I love good Italian food. 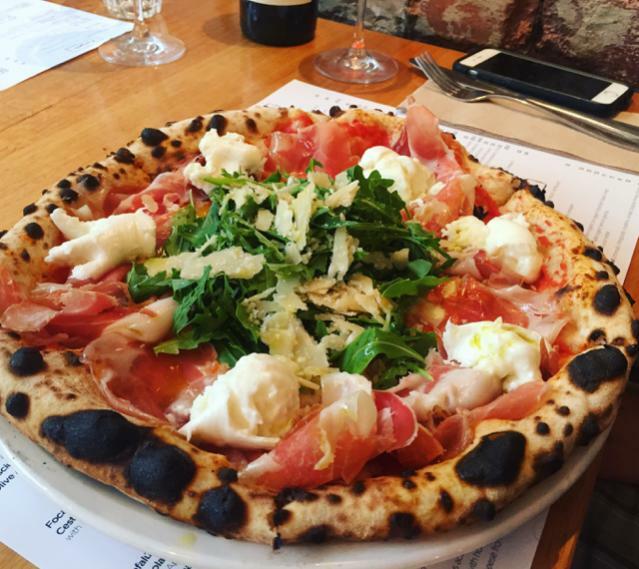 And though you can get pretty good pizza in Melbourne, nothing compares to the pizza at 48h. We had friends visiting from interstate and it was the perfect excuse for a pizza fix. Although the gnocchi is fantastic, it was all about pizza for us. As always, the staff are friendly and welcoming and we were seated at a large table at the front of the restaurant. 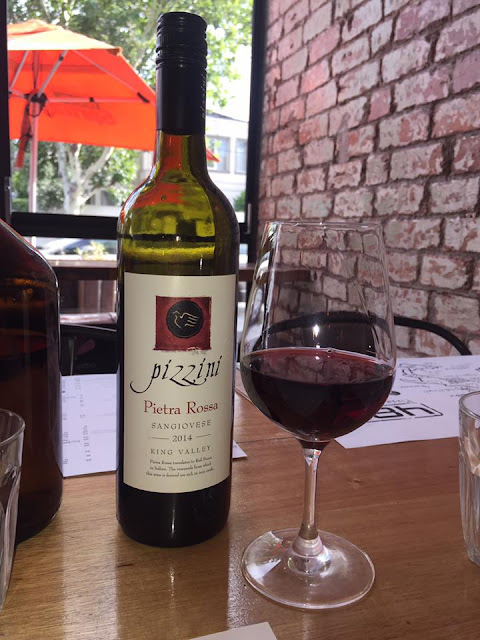 I also love that this restaurant is BYO ($12.5/bottle, wine only), something that is getting harder to find around the city. We took along a favourite Sangiovese from Pizzini in the King Valley. 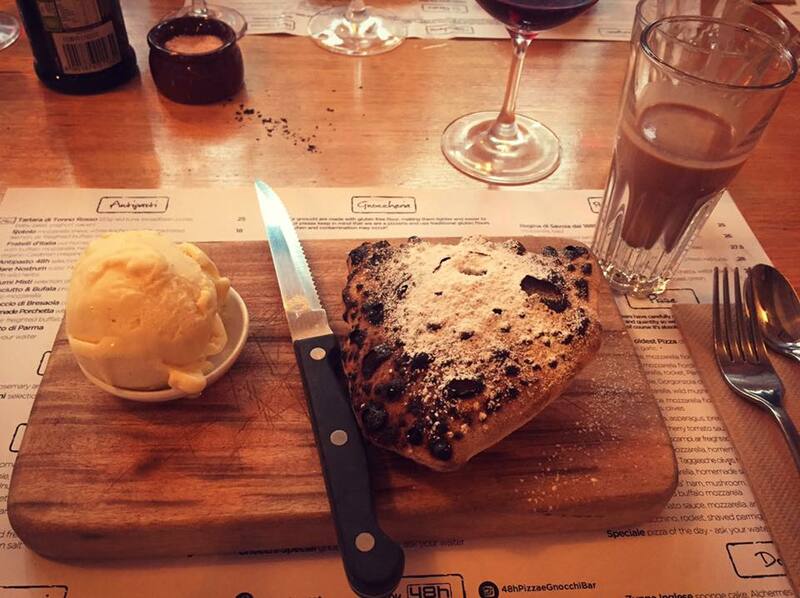 The group decided to forgo an entrée after spotting the dessert menu, so we dove straight into the pizzas. 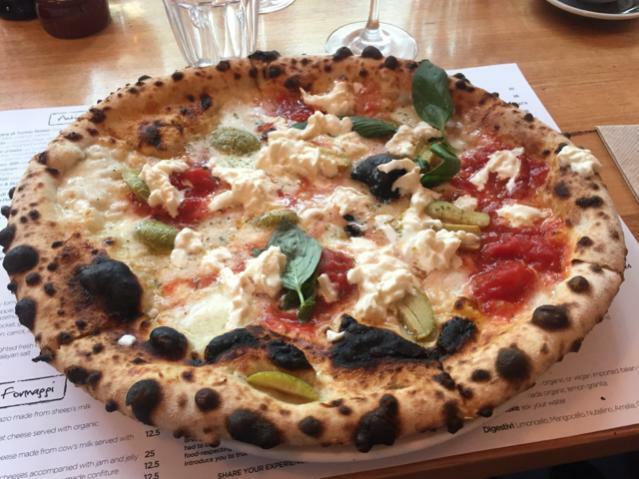 I had the fabulous pizza special, a perfect pizza base smothered in cherry tomato sauce, mozzarella, burrata, olives and basil. My fiancé had the Di Parma and it was equally delicious. And then dessert; their tiramisu is one of the best around (and that says a lot from someone who doesn't like coffee) but I couldn't resist the Gnocchi alla Nutella. A crisp sweet calzone-style pastry filled with molten Nutella and served with ice cream. And a shot of Nutellino just to cap it off. You will roll out of this restaurant feeling absolutely stuffed but you wont regret it for a second.